Did you know 3-7 percent of your clients' credit cards expire every month? 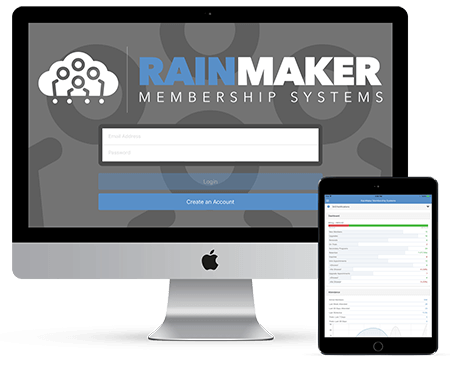 RainMaker automatically notifies people 30 days ahead of the expiration and allows them to update their form of payment online. No one likes being the bad guy, right? This fitness pro software has payment recovery methods built in so you don't have to mess with it and you can paid faster. Profit Generators allow you to sell 24x7. Let people purchase your trials online all the time. If you only sell sell your trials in person or set appointments on the phone you're missing out. More and more people are skipping the phones. They want to check things out online, look at reviews, see your stuff on social media and then decide to make a purchase. People buy planes online, do you not think they can decide to buy a 3 lesson or 6 week trial program for their kid? Make it easy to buy from you. With Profit Generators you can sell just about anything. Merchandise, Rank Promotions, Seminars, Merchandise Packages...You name it. 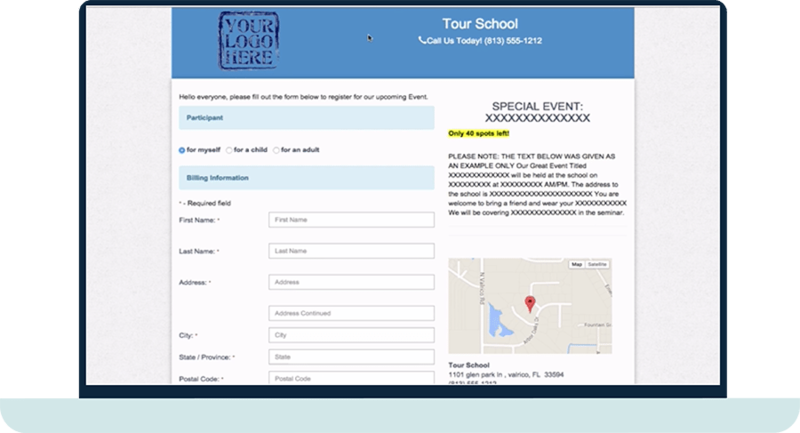 It takes just 3 minutes to set up a purchase and check out page and you're ready to promote your offers. Do you ever have a hard time actually connecting with the people that purchase your trials? 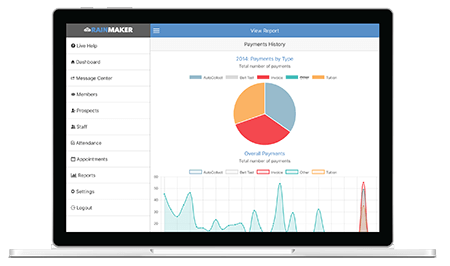 Use RainMaker's online scheduling to stop people from falling through the cracks. The more people that actually schedule trials, the more people you get to sign up. No More resistance and phone tag. People love to pick their own day and times. You create the schedule of openings and restrictions. 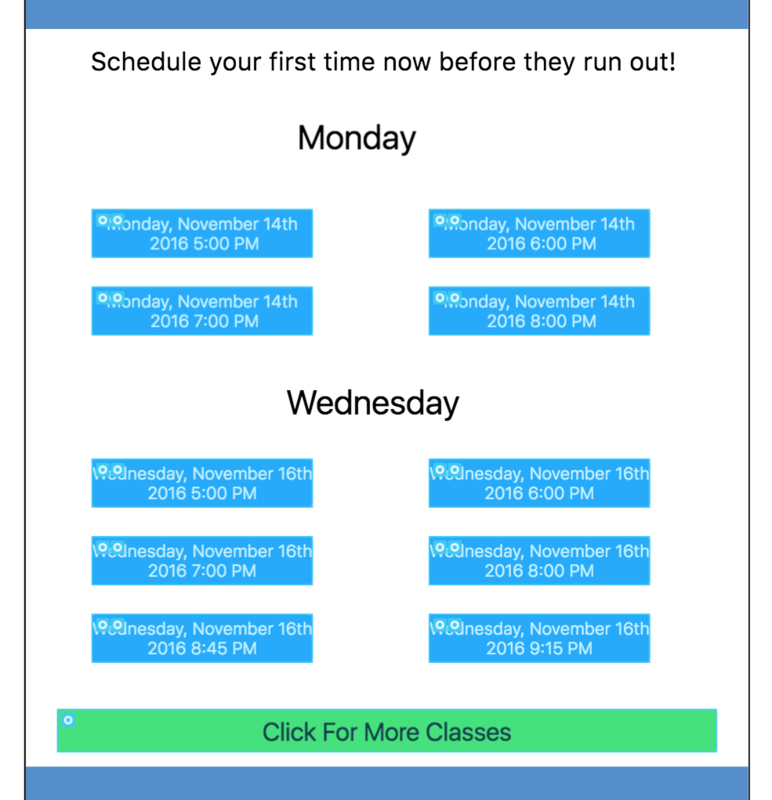 What does marketing and sales automation for Martial Arts Schools look like?